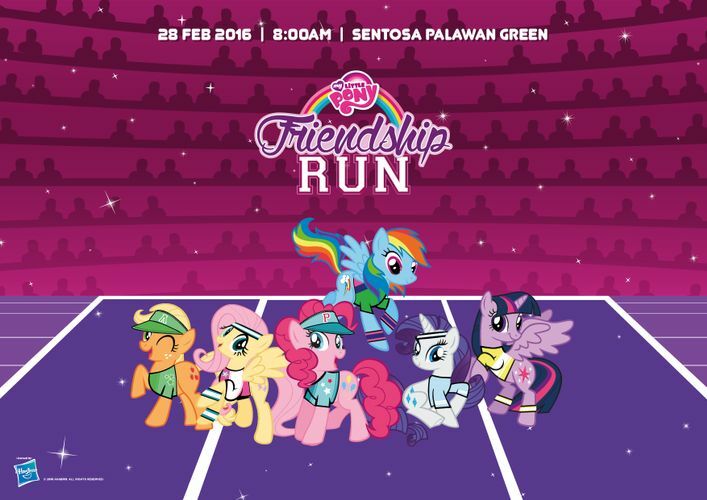 This February, get your friends and family together to take part in the first ever My Little Pony: Friendship Run 2016! Come and celebrate the Magic of Friendship with your favourite My Little Ponies, Pinkie Pie, Rainbow Dash, Twilight Sparkle, Fluttershy, Applejack and Rarity! Registration is open from 23 December 2015. Sign up early to enjoy the early bird promotions from now till 15 January 2016. Registration closes on 12 February 2016 or once all available run slots are sold out. Sign up today so you don’t miss out this fun-filled event!